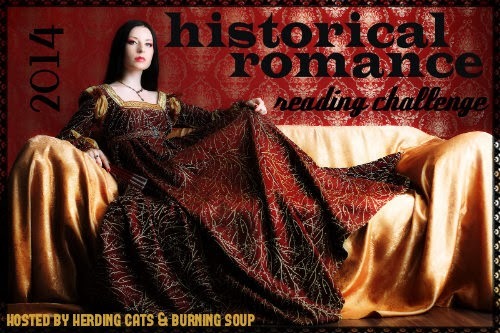 herding cats & burning soup: 2014 Historical Reading Challenge! Anna, I misspelled historical....is there any way you can fix that or do I need to re-submit with the correction? I'll ask Mel if she wants to link with a button on B2B and do mine from there. I got you edited :) Added your name as well so we can tell them apart. If you end up doing it at B2B let me know and I can edit the link no prob :) Thanks for joining in!! Awesome idea! I love historicals and I've been wanting to do a reading challenge for them. Thanks Jennifer! I've been loving them lately too and thought it would be fun :) Thanks for joining in! What a great idea! (have to admit, another blogger friend and I thought of doing the same lol) I read almost entirely HR now, so won't be a problem for me! This is an awesome idea! I read HR almost all the time now so I think this challenge will be a lot of fun. I can't wait to get started! Woot! Thanks for joining in Mandy!! Can't wait to see what you pick for 2014! Yay! are you linked in Kerri? I'm new to the blogging world, and I am a little lost. Where do I grab the button to add it to my post? Hey Book Blondie! Easiest thing to do is right click the image and save it to your computer then add it to your post like you would a book cover or whatnot. I didn't actually create code for it. And welcome to the blogging world!! Woot! Awesome!! Thanks so much for joining in Stormi! We have a FB group set up for the challenge if you'd like to join. It's a closed group and a place we can share reviews, ask for suggestions, etc. I know we have been thru this before, but I want to try again. And Historical reading is just my thing. I have a Goodreads place. But what do I do with it for this challenge thing? "Goodreads/etc challenge shelf in the linky below." What does that mean? When I read and review a historical book, do I list it somewhere for this? Or just on my goodreads place? Then the 1st of each month I'm going to have a post where you can link your review after you write it. I did this, Anna. ;-) I think. haha So proud of myself. I put Lisa@goodreads in the first box. My email next. And I think the link to the review at goodreads for the book. So now, next book, do the same thing?? Right?? Did you enter that on this page Lisa? Yes. I filled in those three boxes. Did I do it wrong? I'm not seeing it so I think so. Can you email me the info and I'll add it? I have no idea if I did this right. I tried to link my Goodreads shelf. Let me know if I need to do something different. OK, I see my name there & the link worked but I see now from reading the post above that I was supposed to put @ Goodreads. Can you add that for me? Sorry New blogger here, how do I link to my post on my Challenge page? Ahh sorry for the delay Nelle! Then in the 3rd one just use the web address for the post. Hi ya, Hey where is the code for the Historical Challenge button? I'd like to add to my blog's side panel. Ooo you know I don't have one made up for it! Let me do a little work and get one made. I so should have done that before now. Sorry Anna! I had to delete my first comment as I'd made a bunch of typos! I'll try it again! OK, I finished my first historical of 2014, added it to my goodreads shelf with a short review. So what do I do now? 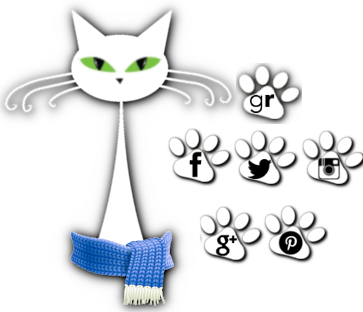 On the Jan link up page (it's below) just add your info to the linky list there. OK, I think I got it. Just let me know if I did it wrong. Thanks! LOL it was a little randomly picked but not entirely. I didn't want it too close to present time but didn't want to cut out those that hover over the late 1800 early 1900 time periods. My grams was born end of 1920s so figured that would be a decent cut off point. There's your comment! I couldn't find this the other day. Yep Time Travel counts! As long as they're spending a good portion in the past I'm good with it. If it's like 10 minutes in the past only not quite but if they spend a while there I think it works. We'd love to have you join us Jamie! Do you plan to host a 2015 historical romance challenge? I would love to join if you do.